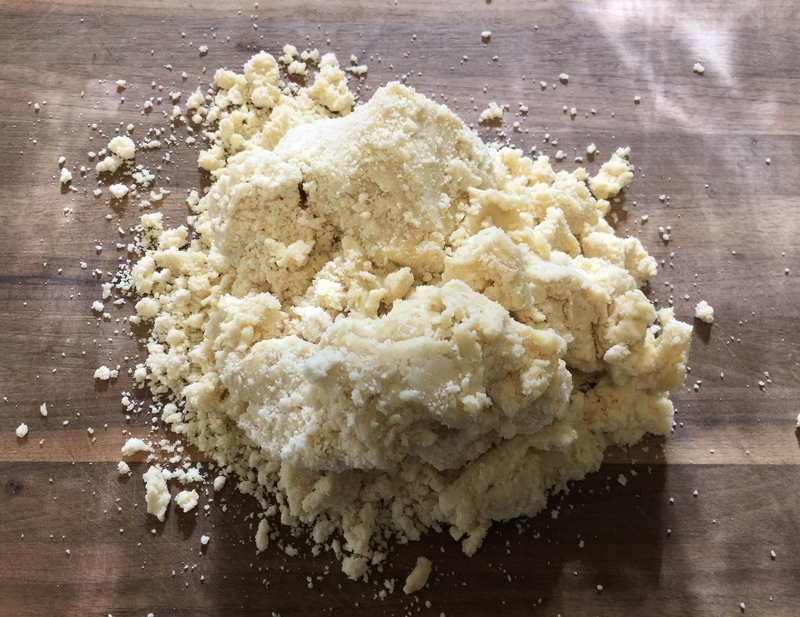 This recipe for pâte brisée is my go to pie crust recipe. It works with both sweet and savory fillings. 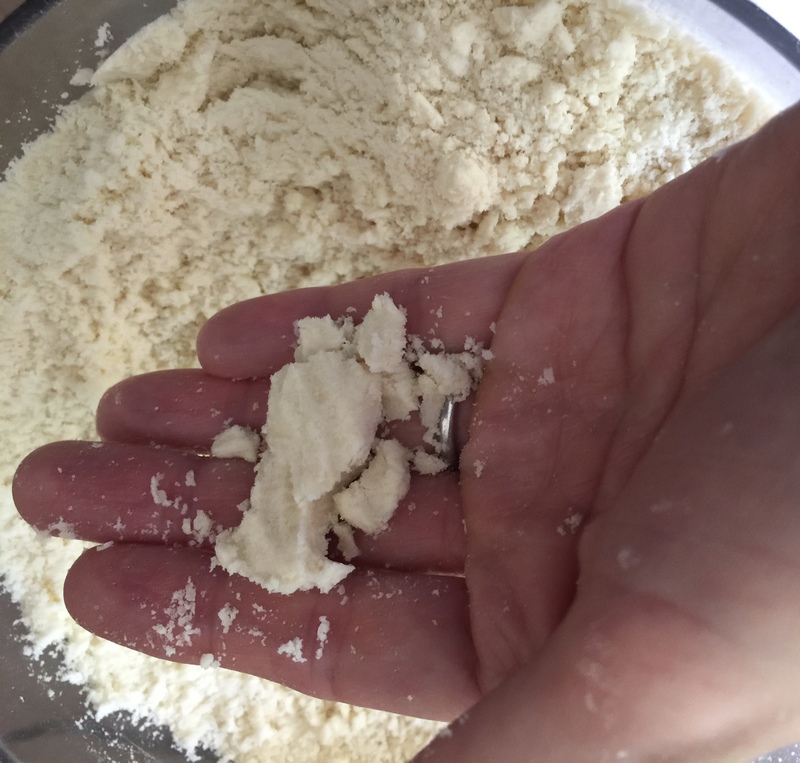 It can be made quickly in a food processor. 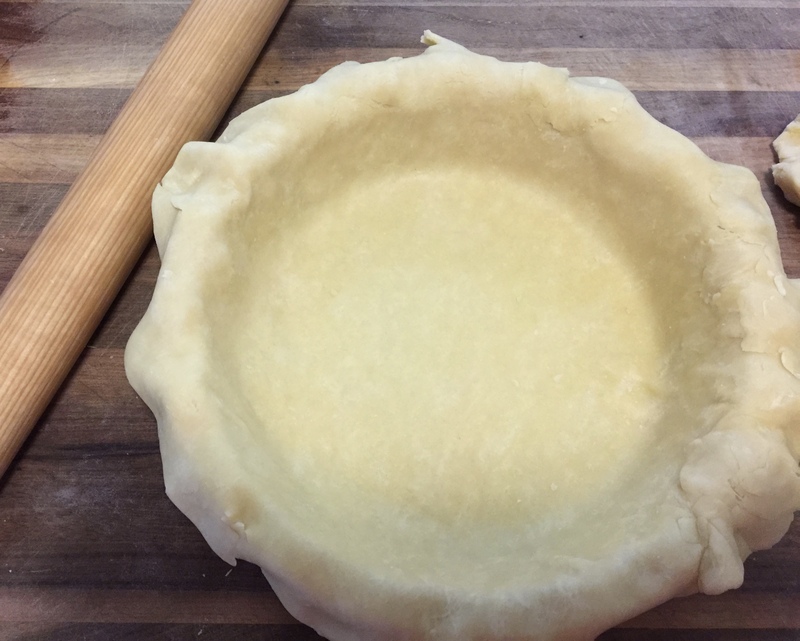 Also it stays flaky if you need to reroll your crust. If you don’t have a food processor you could always form it by hand. 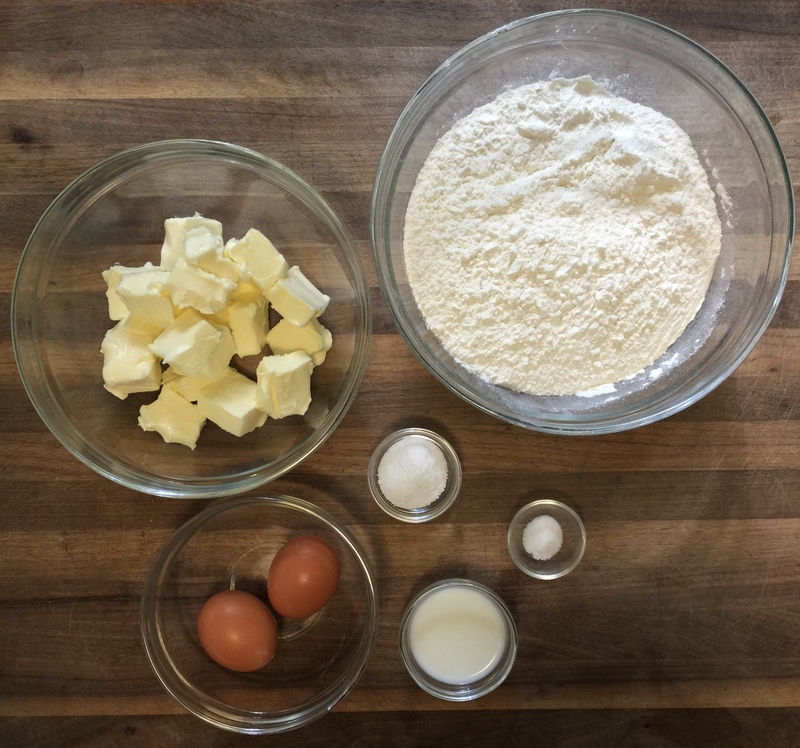 The butter must be at a cool room temperature to blend correctly. I usually make the dough the day before baking to prevent shrinkage. This makes a large batch, as large as my food processor can handle. Freeze what you don’t need and save time later. 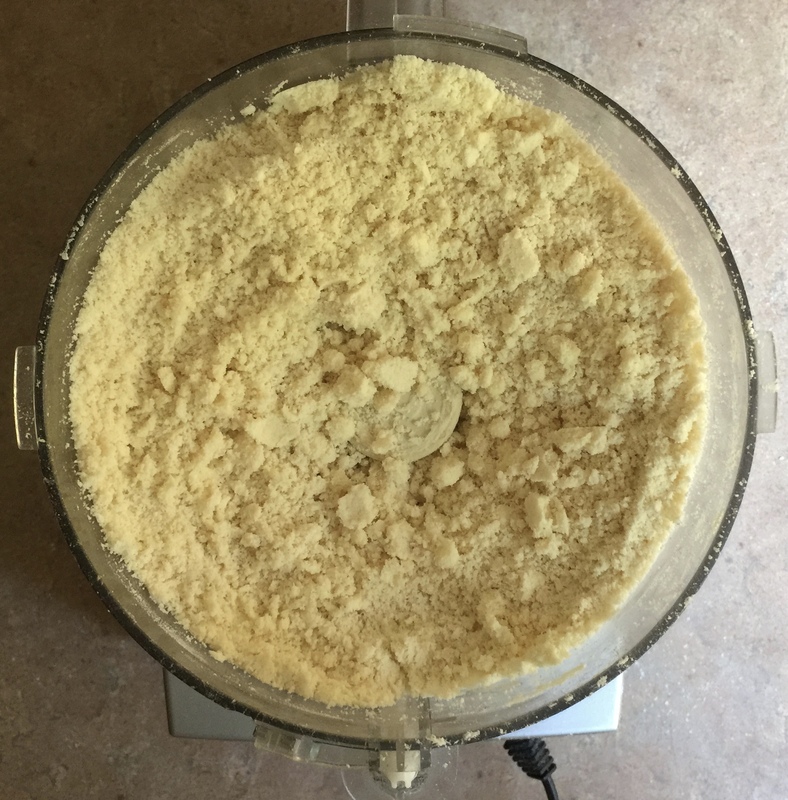 Put dry ingredients into the food processor and pulse about three times to aerate. 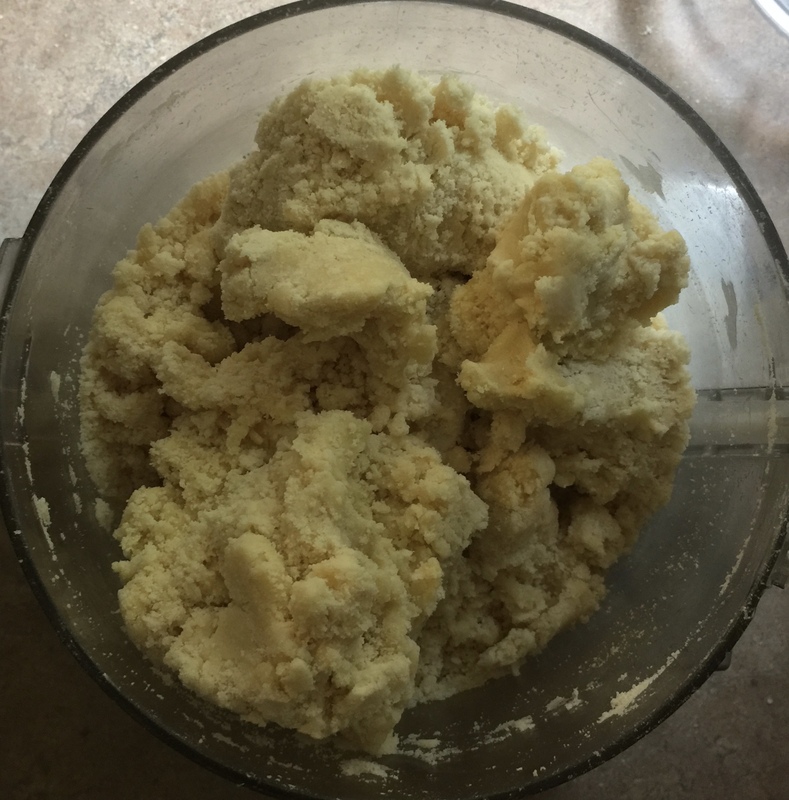 Add in butter all at once and carefully pulse until dough is a coarse sand with small pebbles of butter. If you squeeze it should clump together, but still be a bit dry. Add 1 egg at a time with just a couple of pulses between. Then slowly add the milk, pulsing in between additions. Carefully pulse until dough just comes together. 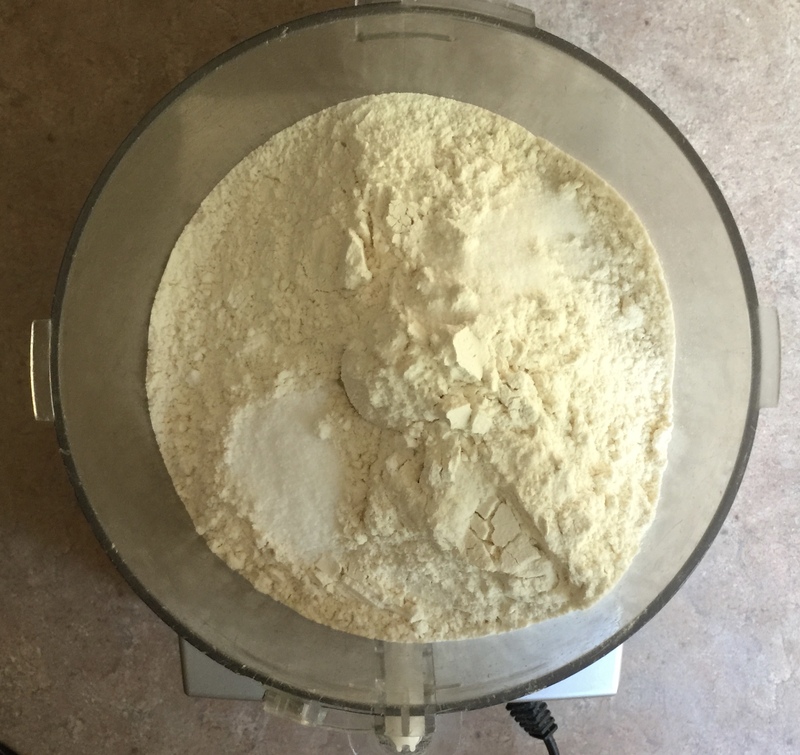 Transfer to work surface and gently form dough. It will come together easily. Divide the dough as needed. 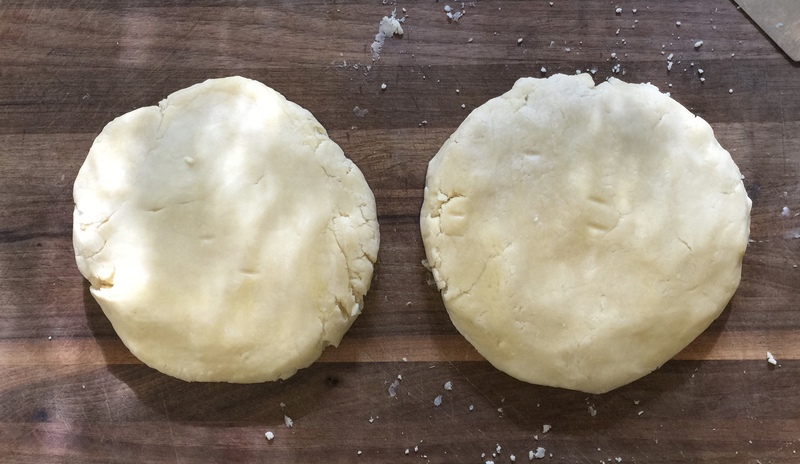 In this photo I have divided it into two disks of dough, one for the top and one for the bottom. Chill, preferably overnight.